Many IIS 7 FTP developers may not have noticed, but all custom FTP 7 extensibility providers execute through COM+ in a DLLHOST.exe process, which runs as NETWORK SERVICE by default. That being said, NETWORK SERVICE does not always have the right permissions to access some of the areas on your system where you may be attempting to implement custom functionality. What this means is, some of the custom features that you try to implement may not work as expected. First of all, you could grant NETWORK SERVICE permissions to the destination folder. Second, you could change the identity of the FTP extensibility process so that it runs as a user that has permissions for the destination folder. 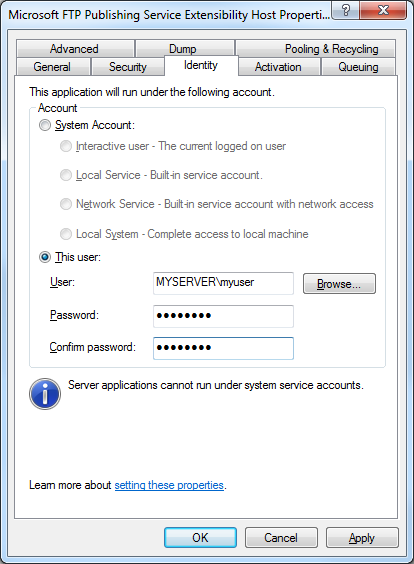 For what it's worth, I usually change the identity of the FTP 7 extensibility process on my servers so that I can set custom permissions for situations like this. 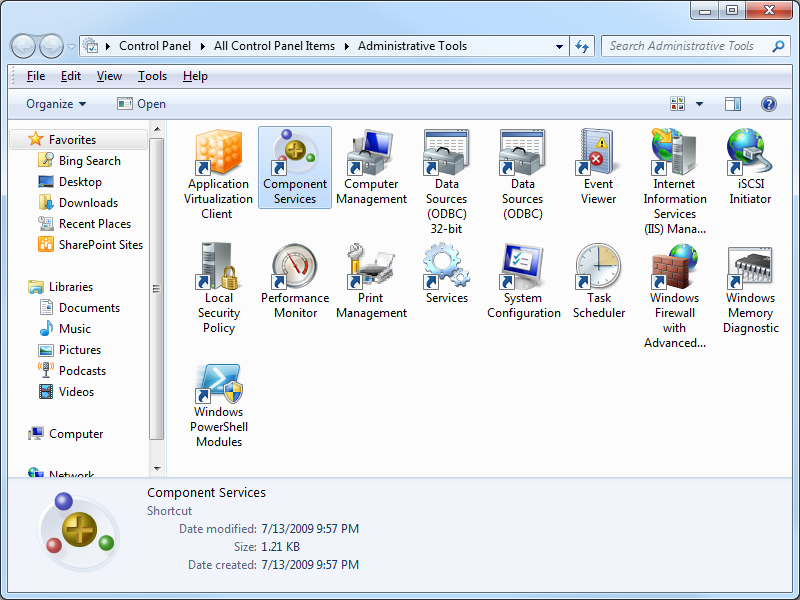 Open Administrative Tools on your Windows system and double-click Component Services. 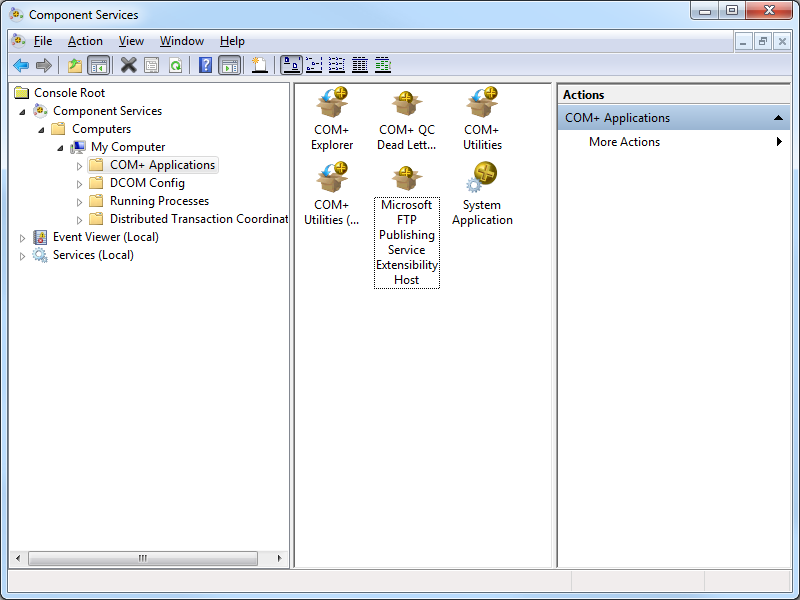 Expand Component Services, then expand Computers, then My Computer, and then highlight COM+ Applications. 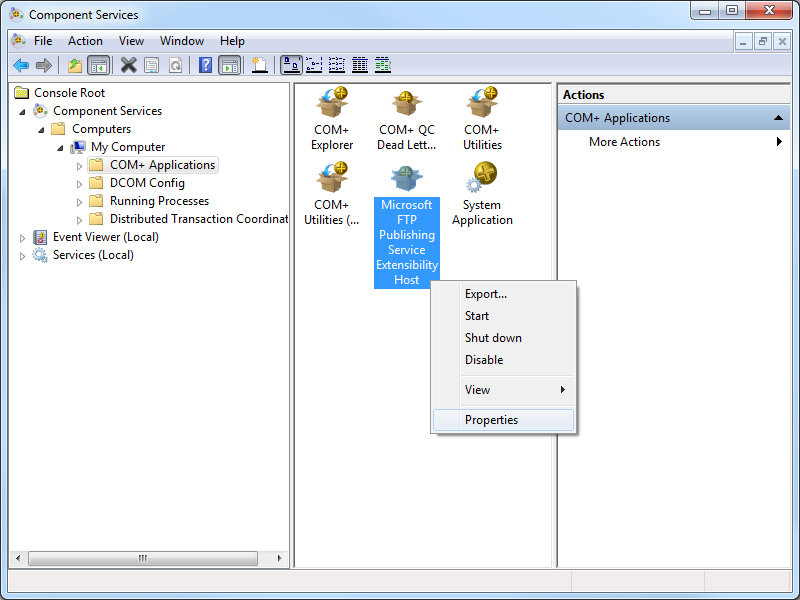 Right-click Microsoft FTP Publishing Service Extensibility Host and then click Properties. Click the Identity tab, and then click the This userradio button. Enter the credentials for the low-privileged user account that you created earlier, and then click OK.
Once you have done this, you can set permissions for this account whenever you need to specify permissions for situations like I described earlier. Personally, I prefer to change the identity of the FTP 7 extensibility process instead of granting NETWORK SERVICE more permissions than it probably needs.